What are the best Cozumel Dive Sites for Beginners? Cozumel is a true island paradise located in the Caribbean Sea, close to Yucatan Peninsula and its famous Mayan Riviera in Mexico. In the recent period, more and more people are showing interest in spending their holidays on this exotic island. When in Cozumel, you can try some authentic Mexican cuisine in the local restaurants, visit the night bars located there, check the shops, take a closer look at some ancient sites and what’s even better – enjoy some of the many water activities. The best part is that the places to dive are located all around the island and no matter where you are, you can reach at least a couple of these places easily. 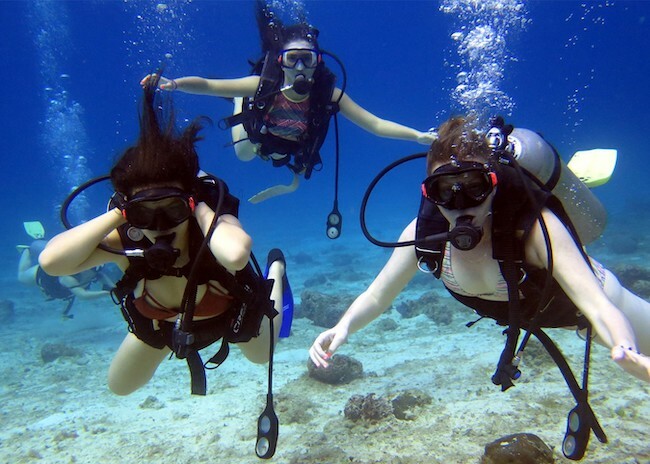 What’s even better is that you can takethe best discover scuba diving tours and get the most from this fun water activity. How to choose the best dive sites as a beginner diver in Cozumel? 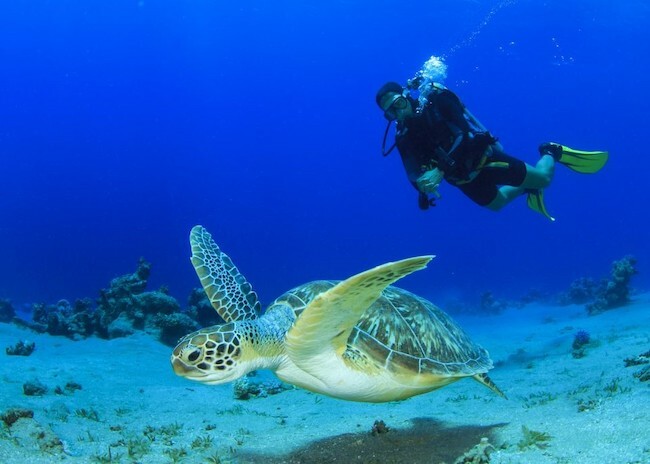 Most of the people who come to cozumel are looking for scuba diving trips for complete beginners. They want to learn how to dive right here because they are aware of the beauty of the underwater world that surrounds the island. If you are new to this, you should know that not every dive site is suitable for beginner divers. Generally speaking, the ideal dive sites for beginners not only in Cozumel but around the world, are the ones that have shallow waters. It’s good to know that the weather conditions in Cozumel are more or less the same throughout the year. Also, we should also point out that there are some places on the map with relatively strong currents and these places are not suitable for beginner divers. When in Cozumel, you can also choose where you want to practice scuba diving as a beginner – reef or wreck. Finally, the visibility in these waters is excellent which is one of the main reasons why divers love Cozumel. The average visibility is between 24 and 30 meters (79 to 98 feet). Before we mention the best dive site for beginner divers, let us list some of the creatures you can find around Cozumel – angelfish, lobsters, octopus, parrotfish, toadfish, snapper, grunt, eagle rays, hawksbill turtles, moray eels, and long snout seahorse. What companies provide Discover Scuba classes for Beginners? When it comes to companies that provide scuba diving classes and excursions – My Trip is the best and official PADI Discover scuba for beginners in cozumel. The best dive sites for beginner divers in Cozumel include Paradise Reef, Tunich Wall, Palancar (the shallow part), Cardona, Yucab, Santa Rosa Wall, Chankanaab, Tormentos and Colombia (the shallow part). These sites have shallow waters, and marine life is vibrant and colorful. Remember to use qualified diving instructors no matter where you are planning on diving in Cozumel and how easy diving at these sites looks. With these dive sites, you can experience a one-of-a-kind adventure that you will gladly talk about in the future.